The Jammu and Kashmir High Court had passed several orders in 2015-2016 and directed the state to provide round-the-clock security cover at the residences of each former chief justice and judge of the High Court along with one personal security officer. The apex court today asked the Security Review Coordination Committee to assess the security scenario for the district judges and the advocate general afresh in four weeks and provide adequate security as per requirements. 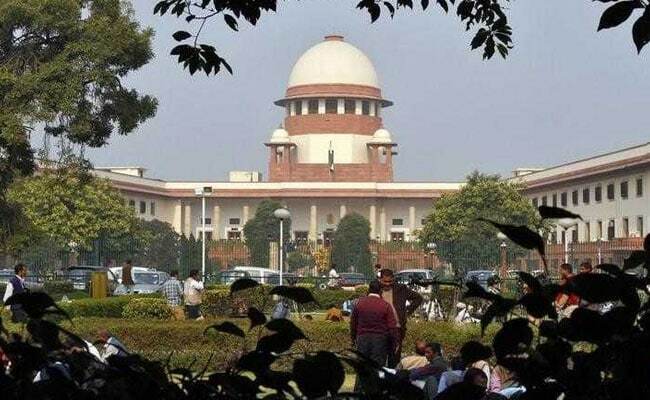 New Delhi: The Supreme Court today overturned multiple orders of the Jammu and Kashmir High Court with regard to the security cover for retired judges, including life-time round-the-clock security for district judges and the advocate general. The apex court asked the Security Review Coordination Committee (SRCC) to assess the security scenario afresh in four weeks and provide adequate security as per requirements. The bench said the orders of the High Court with regard to security "is modified to the effect". Senior advocate Rajeev Dhawan and advocate Shoeb Alam, appearing for the state government, said the High Court cannot order for providing particular security cover for life-time to retired judges, advocate general and others. They said the security cover was provided after the SRCC assessed the threat assessment of the person in accordance with the MHA guidelines laid down in its 'Yellow Book' on security cover. On September 1, the apex court had agreed to examine a plea of Jammu and Kashmir government challenging the multiple orders of High Court directing the state to provide life-time security cover to retired judges and advocates general. The apex court had then sought the assistance of attorney general K K Venugopal in the matter. The state government had said the High Court has committed a "grave error" in directing that a minimum of 1-4 security personnel cover should be provided to all former chief justices and former judges of the High Court for life. The petition filed by the state government said "as such, the field is occupied by a detailed policy which contains the procedure for periodic assessments of threats, providing security on the basis of such assessment. It therefore is not a subject that is unguided by any executive expert policy". The plea said the directions amount to "usurption of an expert function" by encroaching upon an area which is exclusive expertise of the state and security agencies. "It is settled law that a court of law shall not interfere with the performance of an expert function or the opinion of experts since it is ill-equipped with executing the same. The functions of an expert body are best left to be performed by the expert body which alone is competent to deal with such matters," the plea said. The High Court had passed several orders in 2015-2016 and directed the state to provide round-the-clock security cover at the residences of each former chief justice and judge of the High Court along with one personal security officer (PSO). It had said that enhancement of the security cover should be as per the threat perception. The High Court had said that even retired district and session judges should be provided extended security cover for one year on their retirement. It had also directed the state to provide 1-3 security guards personnel round the clock at the residence of each former advocate general of the state and one PSO shall be provided on demand.